The San Diego Center for Jewish Culture (CJC) will host the 29th annual San Diego Jewish International Film Festival this month, beginning Thursday, Feb. 7 and running through Sunday, Feb. 17. The 11-day festival will feature award-winning films, panel discussions and more as it showcases a selection of the best contemporary Jewish-related films across multiple genres, including a wide range of Israeli films. A total of 32 feature films will be screened in four locations across San Diego County this year, including documentary and narrative films, and a variety of movies incorporating themes like social activism, romance, religion, LGBTQ+ issues, Israeli-Arab relations, history, ethics, current events, comedy and the arts. Special guests, filmmakers and scholars, will be on hand to participate in Q&A’s, and meet and greet throughout the festival. A new venue at the Museum of Photographic Arts (MOPA) is reserved for the festival’s most artistic films. New this year is the SDIJFF Mobile App, which will allow attendees to customize their festival schedule, find theatre locations, vote for the Audience Choice Award, learn about guest speakers and stay up to date on events. 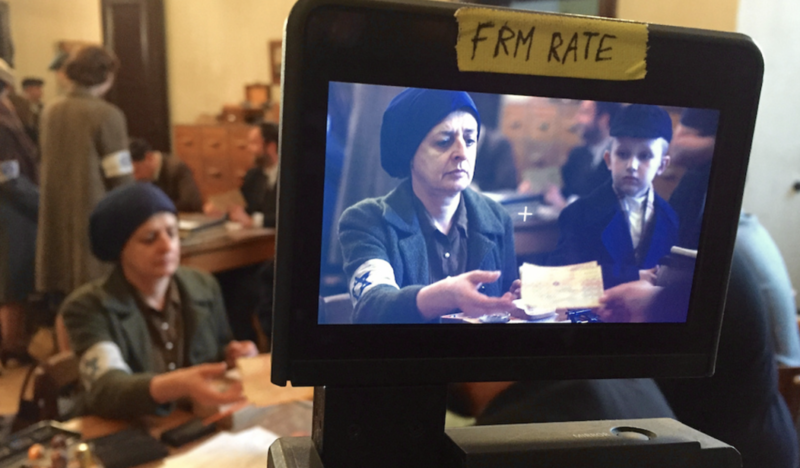 An evocative documentary about the power of pen and paper, the San Diego premiere of Who Will Write Our History, produced by Nancy Spielberg and Roberta Grossman, is this year’s centerpiece film. It tells the story of a secret band of journalists, scholars and community leaders in the Warsaw Ghetto. Led by historian Emanuel Ringelblum, known by the code name Oyneg Shabes, the clandestine group vowed to defeat Nazi lies and propaganda not with guns or fists but with pen and paper. The movie will be screened Wednesday, Feb. 13 at 6:30 p.m. at the Reading Cinemas Town Square. Special guest Roberta Grossman will receive the Directors Award for the film following the screening. The popular Brews & Views event, an evening show of five short films returns this year and will be held at Project Bar & Grill in Hillcrest, Sunday, Feb. 17 at 5 p.m.
For showtimes and descriptions of each film, including special guest appearances, visit www.sdjff.org. Tickets range from $13.25-$18, with festival passes, senior, student and group rates available. To purchase tickets, visit www.sdcjc.ord/sdjff/current or call (858) 362-1348.